You will need a couple of grocery bags per flower. It depends on the size of the bag and where the printing lies as to how many will be used. As you can see in the above photo, my favorite store to shop is Meijer :)I cut four sheets from the bag, but it will vary for you. Cut out 8.5″ x 11 ” squares from the flat paper bag. 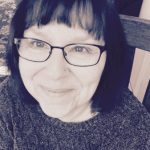 Make sure that there is no printing on either the front or the back of the sheet. You will need approximately four sheets per flower. 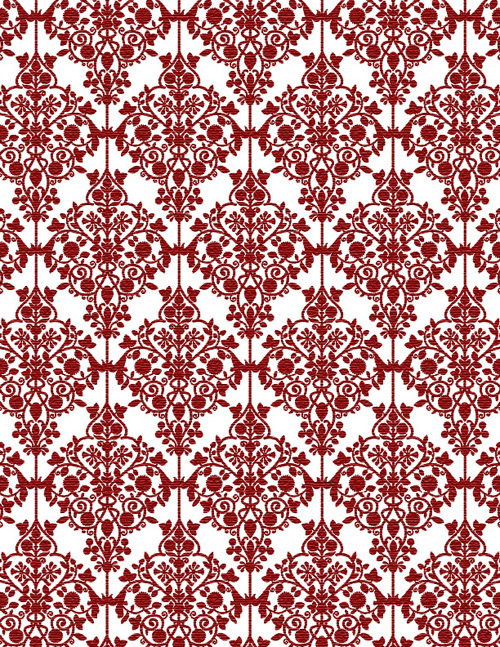 Download the damask print jpg and insert into your favorite software. You are now ready to print. Insert the paper bag sheet into your printer, and set the ink at the ink saving setting. Ink saving gives a pretty soft antique look to the print. Print at a standard 8.5 x 11 paper size. Once you have printed the front side, insert the paper into the printer again, and print the design on the back side. One circle. Place the circle on a flat surface. 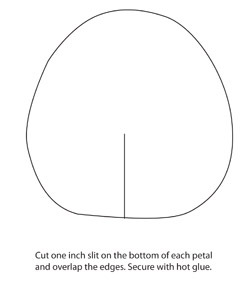 Cut a one-inch slit on the bottom of each extra large petal and overlap the bottom edges. Secure with hot glue and then glue onto the outer edges of the circle. Glue the four large petals onto the inside of the circle next. The medium circles are glued next and the stamen (after rolling) onto the center of the circle. Take the edges of the petals and curl them using the bamboo skewer or dowel. Heck, even a pencil will work for this step! 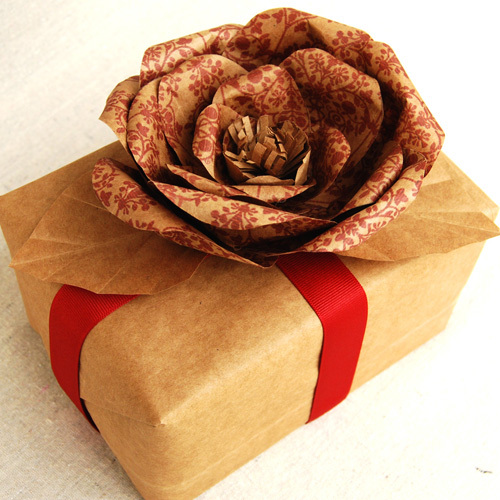 Cut leaves from the brown paper bag to any size you wish, and emboss leaf veins using a sharp object. Dragging scissors over the leaf works well. 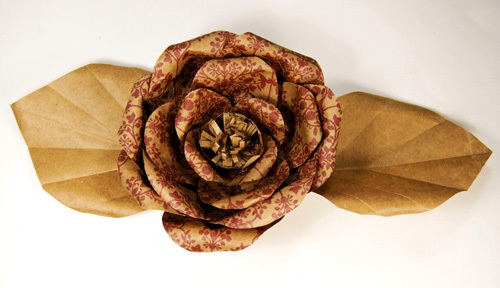 Glue the leaves to the back of the paper flower.You are now ready to enjoy your beautiful recycled paper flower. !